There are promising signs of rising investment interest in Flint. There are fewer parking spaces and more open for business signs along Saginaw Street, the city’s downtown business corridor. The anticipated opening of Mott Community College’s $13 million Culinary Art Institute, the newly minted $31.4 million renovation of the Capitol Theatre and launch of the Ferris Wheel’s $7.5 million Innovation Center are among anchor developments. Café Rhema is one of the small shops that represents the kind of economic investment that can make Flint America’s next comeback city. It’s these developments that infuse the Flint community with that all important make-it or break-it factor. Together with anchor properties, they represent the kind of economic investment that can make Flint America’s next comeback city. 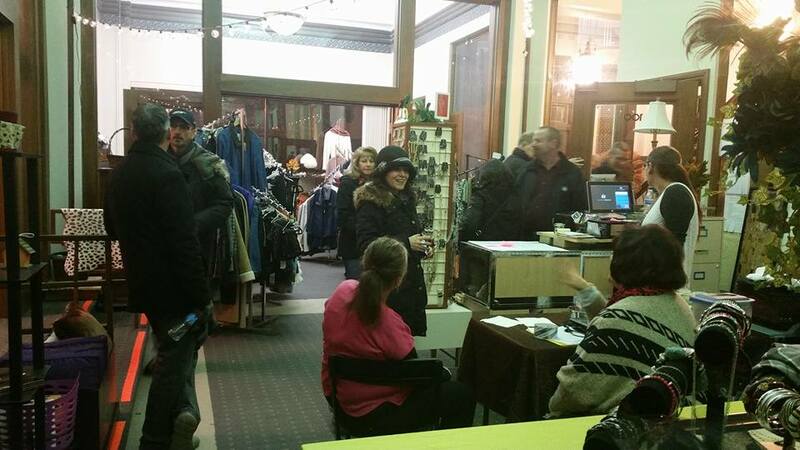 In the past two years alone, more than 15 new retail shops have claimed Saginaw Street as their business address. They join the more than 70 shop and restaurants opened on Main (Saginaw Street) and the immediate surrounding area since 2008, the majority of which are housed in the Flint Farmers’ Market, recognized as “one of the great places in America” by the American Planning Association. The newest entrant, Flint Trading Co., brings an iconic, quirky energy to Flint’s main street with a lot of attitude backed-up by unique hand-crafted home goods, art objects, metal works and fine jewelry. 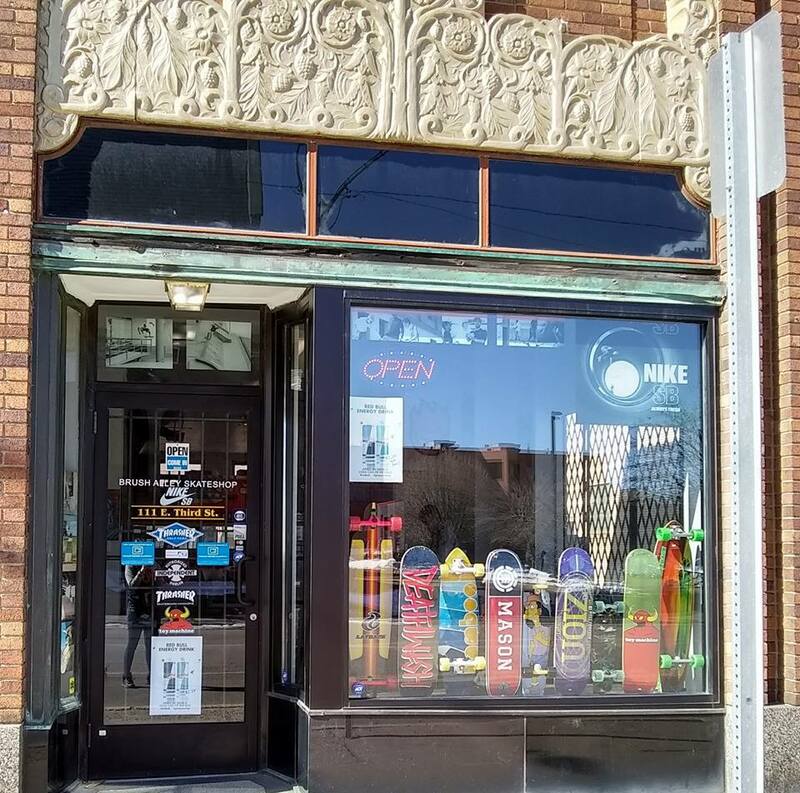 Tucked in just around the corner is the Brush Alley Skateshop, which aficionados’ describe as “seriously legit.” Its customized boards and kicks add additional artistry and color to Flint’s city streets. Purveyors of urban streetwear, like GoodBoy Clothing, Sutorial, a small-scale custom boot and shoe wear shop, and Article One Eyewear, use the city as their canvas. They are among the makers who see and want to “do good” in Flint. 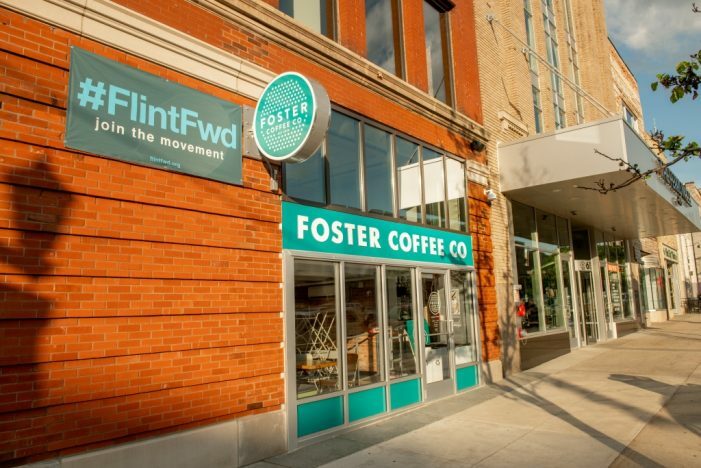 Foster Coffee Co-Founder Nicholas Pidek says the entrepreneurial energy in Flint is palpable and contagious. 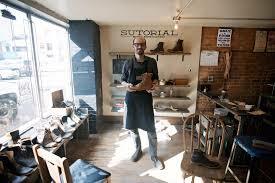 He and his partner Jonathan Moore opened their doors in December 2017 in the hopes of being among the drivers fueling Flint’s resurgence. Custom boutiques like Boutique on the Bricks, Peace Barn, Beauty Box and soon, Capitol Theater’s Shift shop, stand alongside custom tailor and design center Chrysa Studio and other unique clothing apparel shops. 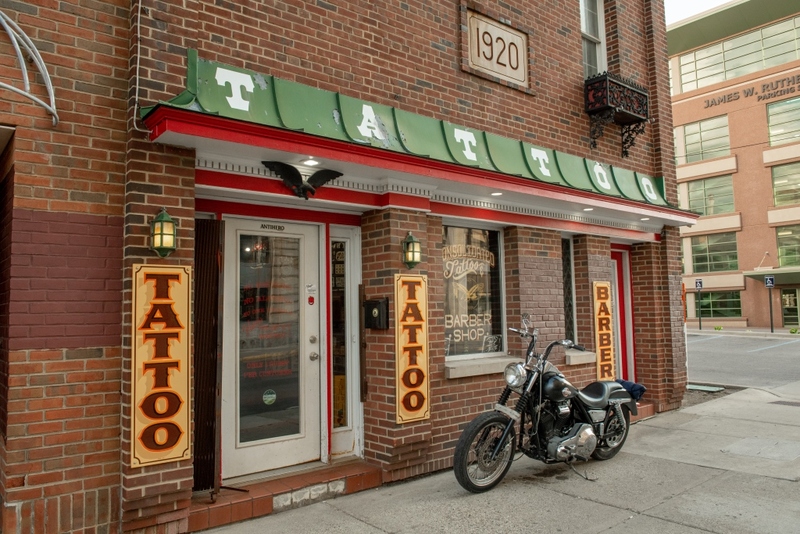 For the “inked” who prefer to wear their body art, there’s the Consolidated Tattoo Parlor, the relative grandfather of the tattoo parlors in the city, which opened its doors in 1999. 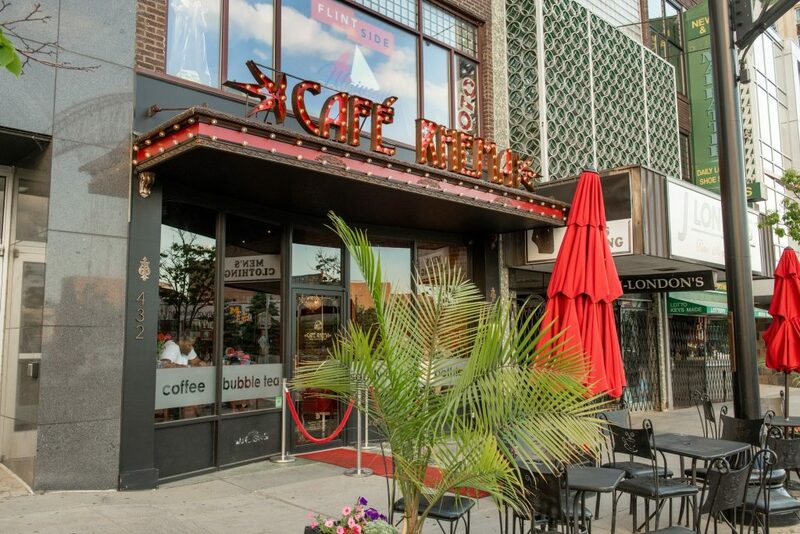 Coffee shops and eateries like 501 Bar & Grill, Blackstones, Cork on Saginaw, Café’ Rhema, Flint Crepe Co, the Lunch Studio and Sorrianos sit happily between iconic establishments like Churchills Food & Spirts, which opened its doors in 1980 and welcomed new owners in 2015. These early stage companies are creating a buzz among early investors, who see Flint’s comeback. Consolidated Tattoo Parlor opened its doors in 1999. Making Flint a city that is welcoming to everyone is a part of what is on Tim Herman’s to do list. The CEO of the Flint & Genesee Chamber of Commerce is working hard to expand and widen its reach to include more minority-owned businesses, which often lack access to capital and infrastructure needed to launch bricks and mortar locations. The number of new business openings signal more to come, according to stakeholders. 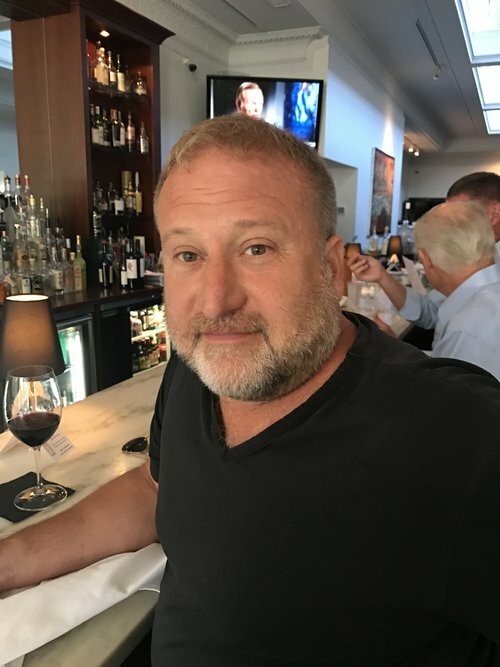 “There’s a momentum that’s really encouraging,” says Phil Shaltz, partner with Uptown Developments, a private investment firm focused on downtown Flint property acquisition and management. Editor’s Note: Jackie Berg is the Founder and publisher of TheHUB and recipient of the 2018 Association of Women in Communications Vanguard Award.